Lake Como is world famous for its unique charm and its beautiful villas thanks to which, over the years, has been a perfect set for the big and small screen. It has become one of the most sought after, unique and important tourist destinations in the world and a place where, while walking, it is easy to bump into celebrities of the international jet set. Here are some famous films that were shot, even in part, on the shores of Lake Como. James Bond Casino Royale was filmed between Lenno and San Siro. Villa Balbianello is transformed into a clinic where Daniel Craig (James Bond) spends a period of convalescence, while in one of the last scenes of the film, from the impressive staircase of Villa La Gaeta, he utters the fateful words: "My name is Bond, James Bond ". Ocean's Twelve is the film that puts together one of the most beautiful casts in the history of American cinema. From George Clooney to Brad Pitt, Julia Roberts and many more...The film is partly set in Villa Erba in Cernobbio and Villa Oleandra in Laglio, residence of Clooney. 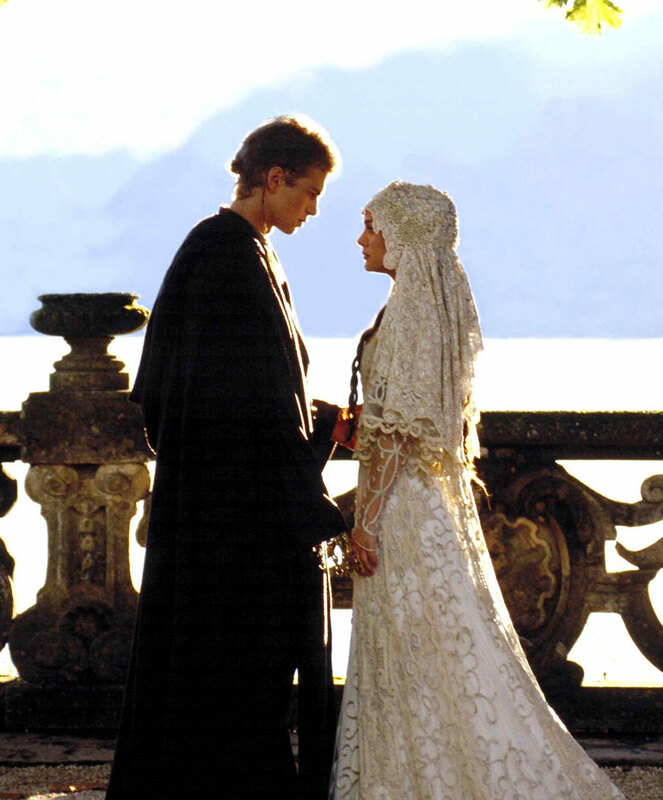 Villa Balbianello, this time with its beautiful terrace, is the setting for the famous final scene of the kiss between Padmé and the young Anakin Skywalker, newlyweds. Instead, the plain of Rogaro, natural terrace overlooking the lake, between the towns of Tremezzo and Griante, is the place where the two lovers are taking a romantic picnic. Already in 1960 the Lario fascinated filmmakers and actors; for instance the film Rocco e i suoi fratelli by Luchino Visconti. Both the protagonists, Nadia and Simone, decide to spend a holiday in the beautiful town of Bellagio and, strolling down Viale Europa, between the pier and the Hotel Grande Bretagne (that was still open by that time), Nadia talks about that to his beloved, expressing the desire to reside there. Bellagio was also the set of another memorable film, Bobby Deerfield by Sydney Pollack, in which starred the great Al Pacino. 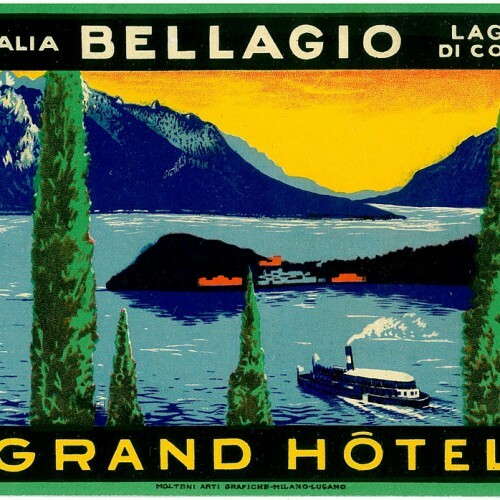 The two protagonists arrive to Bellagio by car along the scenic descent to the shore: framed in the background is the wind-breaking Bellagio, a promontory in the middle of the three branches of the lake. They decide to stop there for the night. 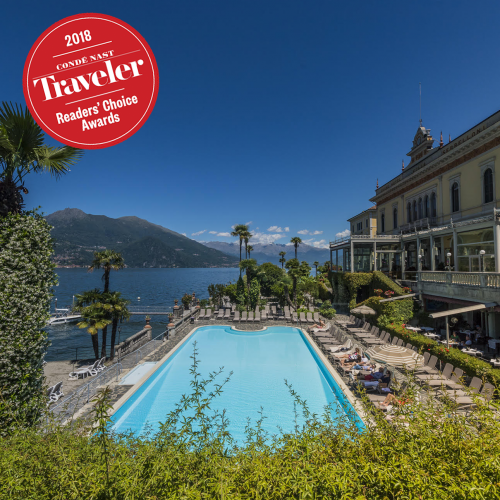 They take two rooms at the Grand Hotel Villa Serbelloni, one of the most renowned hotels on Lake Como. After a romantic dinner at a restaurant on the shore, they become friendly with each other and decide to spend the night in the same room. It will be their first night of love. Another great actor, close friend of Al Pacino, starred in Bellagio: Robert De Niro, in a scene of Once Upon a Time in America by Sergio Leone. De Niro later returned to Lake Como on several occasions with his family and, in the summer of 2007, the paparazzis ran into him in Bellagio, while he was having breakfast at the Grand Hotel Villa Serbelloni. For anyone wishing to visit the magnificent places that framed these and many other feature films, the Chamber of Commerce of Como realized a guide "The stars of Lake Como" which collects all the information on the most important Italian and foreign films shot in the Como province.